When one looks at the timeline of the various revolutions that have happened in recent centuries, one should also look to one other paradigm that always comes along with them, the subversion of the norm. The industrial revolution challenged how industries work and operate; the internet revolution enforced the service economy, and currently we are on the cusp of the trust revolution. Our society is built upon the trust we place in third-party intermediaries that facilitate our transactions, such as banks that facilitate monetary transactions, governments that provide contracts and licenses, and universities that verify the professional competence of individuals. With all of these institutions, trust is a key element. But trust is fragile. Lacking a better system, we end up having to trust centralized institutions, many of which have proven to fail us in the long term. In 2009, during the peak of a global financial crisis that bankrupted entire countries, jobs were evaporating on a daily basis. To this day, we have remnants of the crisis in our economy—a powerful reminder of the vulnerability of centralized institutions. When massive, centralized institutions fail, they can spark a devastating chain reaction with chilling effects. Still, we are forced to trust them because it’s the paradigm that we have been accustomed to. 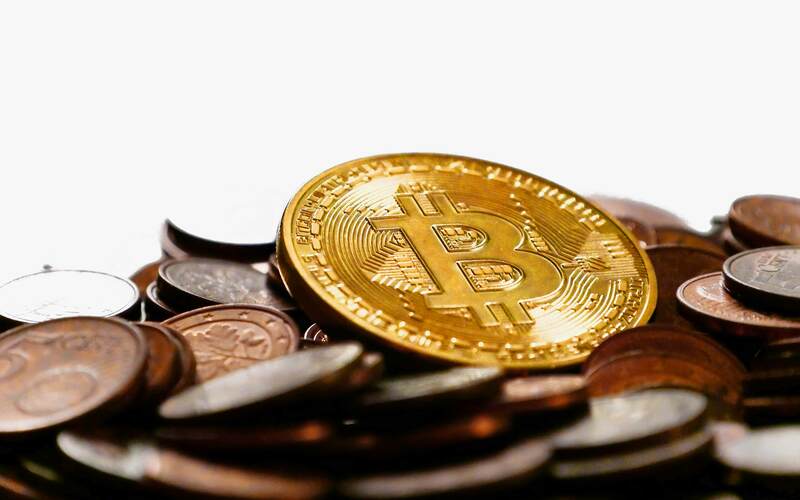 Within a year of the financial crisis, Bitcoin was established via a white paper published under the alias “Satoshi Nakamoto,” who is still unknown to this day. The paper aimed to tackle the problematic nature of banks as centralized intermediaries by allowing individuals to trade so-called digital coins directly between each other. Bitcoins are traded on a global peer-to-peer distribution network verified by the network itself. Cryptocurrencies like Bitcoin are powered by a technology called blockchain, the popular term for one of the largest disruptors of trust we know today. Blockchain, as the name suggests, operates on blocks of data that generate unique keys for each block. For each added activity, a new block is added to the previous block — creating a blockchain. What truly makes the technology disruptive, though, is the way it is stored and distributed. The blockchain is not owned by an intermediary, but is copied and distributed indefinitely in a peer-to-peer network where all share ownership and simultaneously confirm the validity of the copies. Blockchains cannot be altered, and any additional blocks will only be added to the existing ones, and then verified and distributed simultaneously to the rest of the copies available in the network. This way, instead of having one centralized database of, say, your financial transactions — typically owned and facilitated by a bank — you would have copies of the database in a fully anonymous and unaltered format on a distribution network operated and verified by a larger community. The result is a considerable increase in trust and transparency. This article will not go into detail on the technicalities of blockchain or how cryptography and the algorithms behind it eliminate the possibilities of fraud. What we wish to explore, however, is how a technology that was originally built to sustain a cryptocurrency can be utilized for other industries, where centralized operation is still par for the course. Many refer to Bitcoin as the test bed of blockchain, and after 8 years of exponential success, various industries are looking to explore what else it can enable. We believe that mobility, an industry already undergoing a massive shift, should explore that realm even further, with some example use cases elaborated below. What does blockchain entail for mobility? One category of industries where massive daily transactions occur is mobility. Whether it’s the communication that happens between our vehicles and infrastructure, or the rides we take with Uber and Lyft, mobility industries operate heavily on centralized intermediaries where transparency is of the utmost concern. The following use cases explore the ways in which blockchain can bring a new perspective to industries that are currently undergoing a massive shift. Centralized operation is deeply rooted in our contracting businesses. When it comes to obtaining licenses and contracts, institutions set the terms and make the final decisions in regards to verification after all conditions are met. In certain markets, corruption is a major concern around contracting. Just knowing the right people is usually enough to move projects through the chain of command. By introducing blockchain, corruption can finally be mitigated through the advent of smart contracting/licensing systems in which contracts are coded to be executed automatically when, and only when, a predefined set of conditions are met. By removing the middleman and enforcing transparency in decision-making, smart contracting is a valuable beneficiary of the blockchain technology. It is worth noting that smart contracting is also applicable to other aspects of our lives, from housing to healthcare. As connected and autonomous vehicles take to the streets, security is crucial. The big players in this space are investing copious amounts of cash to ensure their users’ safety, and blockchain will play a role in this as well. When it comes to vehicle-to-vehicle (V2V) communication, the data exchanged between end-points currently goes through an intermediary. Data that is typically being transferred includes information about safety: road conditions, traffic status, and weather data. It’s the kind of data that is always at risk of being hacked — and ripe to reap havoc with. Blockchain creates a secure space for that data to be distributed on a transparent, decentralized, and un-hackable network, ensuring the validity and safety of crucial data being transmitted between vehicles. The same can apply within the wider realm of the IoT industry. Insurance providers and their conventional business practices cause frustration. Their lack of transparency and time-consuming processes are two of the biggest complaints customers have in respect to the insurance industry at large. The advent of peer-to-peer insurance is already a reality, and blockchain is the ideal technology to facilitate it. Peer-to-peer insurance operates on the principle that all policyholders form online “pools” from which all the premium fees are gathered. Any claims made are paid from that pool, and at the end of a billing cycle, remnants of remaining profits are paid back to the pool’s policyholders. Claims are also decided through a transparent peer voting procedure. These activities can easily operate on blockchain, moving fluidly on its transparent and decentralized system, and safe from the security breaches that might otherwise prevent the peer-to-peer system from running smoothly. Even though customers enjoy rides provided via their peers on ride sharing apps like Uber and Lyft, the payments are funneled through an intermediary who financially benefits more from the service. Uber, in particular, has been in the spotlight for forcing unfair wages and working conditions on their drivers. Blockchain has the ability to change all that, allowing for the sharing economy to transfer value to where it rightfully belongs. How? Through a direct, peer-to-peer service provision, with the ability to facilitate direct payments between the drivers themselves. A driver’s reputation and rating will play an even more valuable role and the overall service will be genuinely meritocratic. Annual sales of used cars are at three times the annual sales of new cars. Yet, one of the biggest pain points in the used car market is the lack of transparency in a vehicle’s confirmed history — from the point of purchase to the modifications and possible damage it has endured up to the point of resell. It’s a problem because when a buyer is dubious about the source from which their used car is coming from, it mitigates the fluidity of the purchase. Put simply, the number one most important factor in purchasing any car, but especially a used car, is trust. Blockchain creates an informed database that includes the history of any used automobile, bringing more transparency into peer-to-peer transactions, and ultimately providing customers in the used car market with peace of mind. Where do we stand today and what should we expect next? The World Wide Web, as we know it, took 40 years to be popularized and reach the point it is at today. The internet has enabled faster adoption of novel products and technologies like the smartphone, which, over a period of 10 years, experienced an exponential rate of adoption. A specific timeframe for blockchain’s adoption is hard to predict, especially since in the first 8 years of its existence it has only served as the back-end technology for cryptocurrencies like Bitcoin. But blockchain is maturing and beginning to be utilized in ways that completely redefine how we run our businesses and personal lives. Naturally, it’s startups that bring disruption into the market. With examples like Ethereum smart contracting, Xapo Bitcoin wallet, Linq private security insurance, openbazaar peer-to-peer open commerce, and La’Zooz driver-owner ride sharing, we can already see the great interest this technology has garnered through the many investments being made. Looking at Bitcoin’s evolution from a valuation of 0.0054 USD/Bitcoin in 2009 to a value of 2558.48 USD/Bitcoin (at the time of writing in 2017), we see every indication that something massive is manifesting under the surface. We are a society connected ever more fluidly through our mobile devices. By decentralizing our transactions, blockchain has the potential to protect the very foundation of our peer-to-peer society. The need to explore its opportunities is vital to our continued evolution.